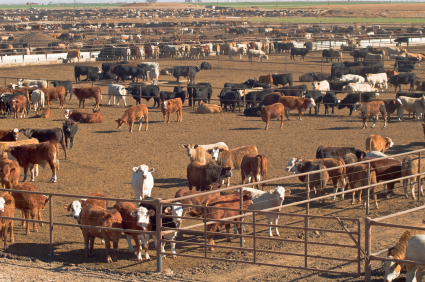 Raising, feeding and marketing livestock is risky and time-consuming. That’s why FBS’s revolutionary tightly-integrated design significantly saves time and provides more comprehensive management control than traditional “piecemeal” approach. While you’d be cutting keyboard time by weeks in a single year, your management information will be more complete and accurate, and instantly accessible for urgent decisions. Your #1 production expense is also your #1 data entry chore. FBS fully automates this tedious process. 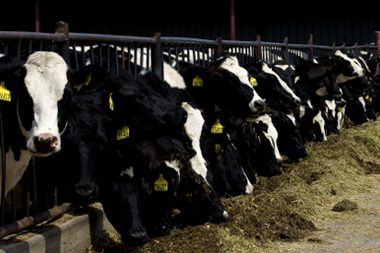 For producers mixing their own feed, we offer a Farm Feed Mill Interface, which supports 10 mill formats. The system automatically draws down inventories (created through accounting purchases) and assigns the correct ingredients and costs to each location and group. 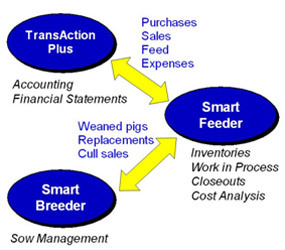 The toughest challenges of on-farm feed accounting—reconciling inventories and costs—are totally automated. The powerful FBS management database takes over from there: analyzing sales results by packer, location, group and even load. When it comes to tracking and controlling the internal costs and profitability of production stages, farms and groups, most producers rely on little more than gut feelings. That’s because their accounting program is a “blunt instrument” in allocating costs and analyzing any deeper than general tax or financial reporting. The answer? Managerial accounting, a proven practice widely used by other industries to make reliable and timely marketing, purchasing and investment decisions. 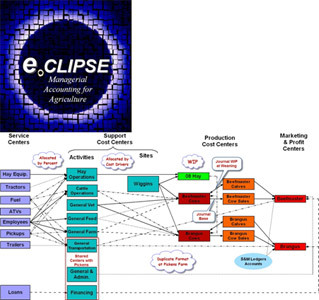 Our exclusive e.CLIPSE™ technology focuses managerial accounting’s analytical power into all phases of livestock production. 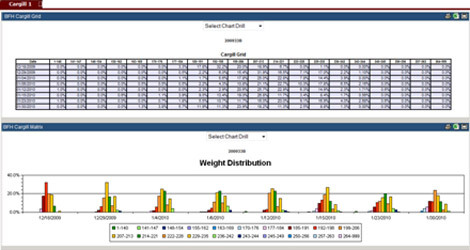 You can “drill down” to any farm, group or cost center within your operation at any time to monitor its performance. Through real-time integration with production data, allocations for buildings and other cost centers are made automatically using Activity-Based Costing. Your financial statements will be accurate, up-to-date and tied out with physical inventories. 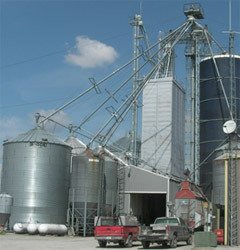 If your business has grown beyond a single farm and computer you’ll appreciate FBS’s multi-user technology. Whether you’re running on a local area network or servicing a wide geographical area through the Internet, you can depend on and grow with our record-locking, ODBC database and security . Need more flexibility or capacity ? Farm SeRVer™ provides all the capabilities of FBS desktop applications through an economical, web-hosted subscription service. Connect to your data anywhere―enjoy the benefits of a high-performance network without the hassles of maintaining software or your own server. Tap into "virtual" data entry or controller services. 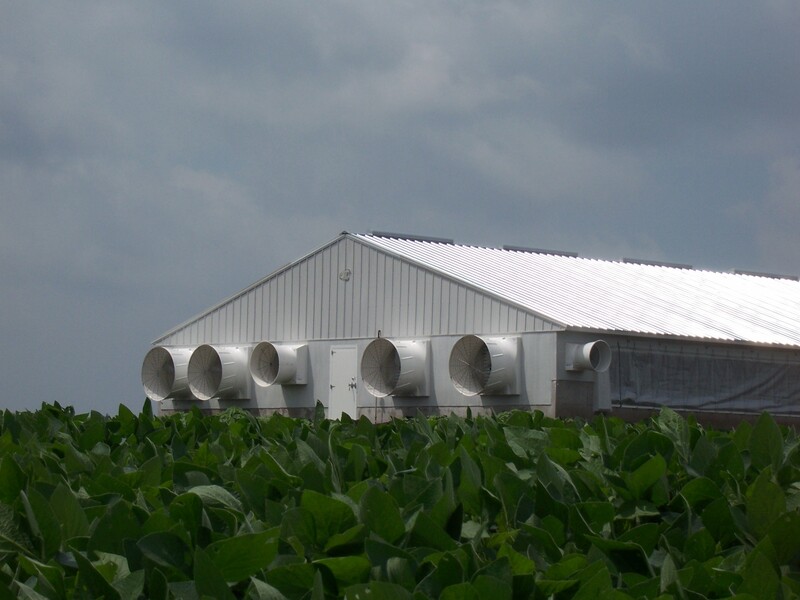 The Pork Profit Center provides real-time “cloud” access to comprehensive production, financial and sales performance metrics. No setup, training or data entry is required; up-to-the-minute, accurate information from FBS’s integrated ERP production accounting system is seamlessly uploaded to a secure website and can be accessed through any pc or mobile device.